The Fenian Memorial Committee of America would like to offer a long overdue “thank you” to Fr. McCabe for his sacrifice in the name of Irish freedom. 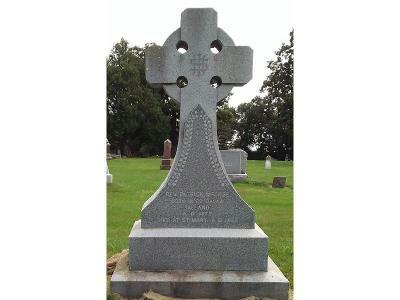 The committee has commissioned Tom Miller, a Minnesota stone cutter, to create a polished granite gravestone legend to be placed at the foot of Fr. McCabe’s Celtic Cross cemetery marker. George McLaughlin and members from the Fenian Memorial Committee of America will be unveiling the memorial stone on Saturday, May 18, 2019. A benediction, commemoration and celebration of this great man will follow. We do not have the schedule for the day’s event at this time. Please check our website as the date nears.